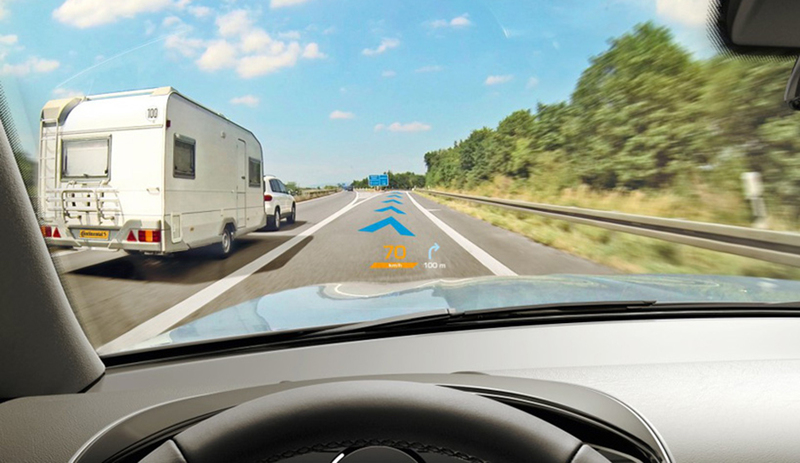 Lincoln is one of the first automakers to step closer to full augmented reality displays in vehicle windshields. Two of its models now have digital micro-mirror device (DMD) technology made by Continental, which projects bigger, clearer and more complex graphics. 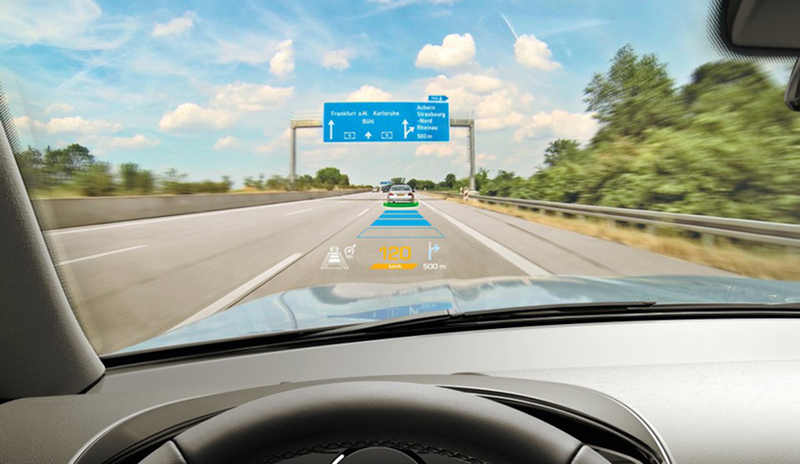 The technology is seen as a bridge between older heads-up display systems and forthcoming AR technology. The system works in a similar way as modern digital cinema projectors. A picture generating unit produces an image which is enlarged and projected onto the windshield using a series of mirrors and lenses. The resulting image is much brighter than the previously common reflected LCD technology. The benefits of the system are brighter graphics that can be clearly seen in daytime sunlight. Projecting information on the windshield keeps a driver’s eyes close to the road and reduces distractions from checking other in-car screens. This is particularly helpful with visual aids from the navigation system that can show alerts for intersection turns or highway exits.